A pilgrimage is defined as a journey to a sacred place. 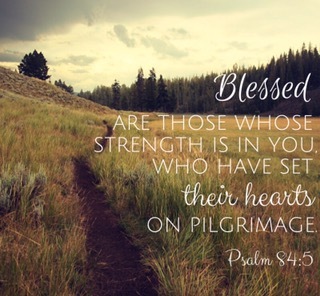 When you are pursuing a thriving relationship with God, you are not just on a pilgrimage, you are living one. Every place you invite God into becomes a sacred place. The pilgrimage for a Christian is not to go somewhere that God has been but to allow God to be with you where you are right now. Into the reality of your life. Jesus comes in and gives you what you do not deserve but cannot live without: love, forgiveness, strength, peace, joy, hope and eventually eternity. Where do you need to Invite Jesus into today?